Pretoria - The Presidency announced on Friday that it had served suspended SARS Commissioner Tom Moyane with disciplinary charges. The charges relate to alleged misconduct in violation of his duties and responsibilities in terms of the South African Revenue Service Act, Public Finance Management Act and SARS Code of Conduct. Retired Constitutional Court Judge Kate O’Regan will preside over the disciplinary inquiry, which relates to alleged leadership and organisational failures. President Cyril Ramaphosa first made mention of an inquiry into the governance of SARS in his first State of the Nation Address in February. 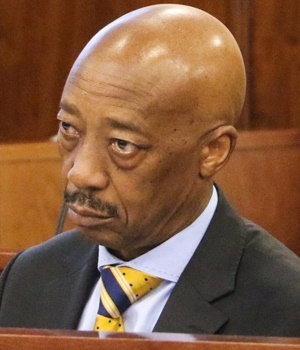 The disciplinary charges follows Moyane's March suspension with "immediate effect" pending the institution of disciplinary proceedings. The statement by the Presidency then referenced two specific reasons for Moyane's suspension, as well as a "deterioration in public confidence" in the tax agency under his watch. Mark Kingon was appointed as head the SA Revenue Service in an acting capacity. "President Ramaphosa said [the suspension] was in the public interest to restore the credibility of SARS without delay," Presidency spokesperson Khusela Diko said at the time of Moyane's suspension. In a letter to Moyane, Ramaphosa said developments at the SARS under his leadership have resulted in a deterioration in public confidence in the institution and in public finances being compromised. "For the sake of the country and the economy, this situation cannot be allowed to continue, or to worsen," Diko said then. The inquiry announced on Friday will be conducted in writing to make findings, subject to the presiding officer’s discretion to hear oral evidence, the Presidency said. "This approach has been chosen to ensure a procedurally fair and speedy disciplinary process. The Presidency said a separate process through, the establishment of a Commission of Inquiry, will focus on tax administrative issues like VAT refunds and shortfalls in revenue in the past two financial years. When contacted by Fin24, Moyane refused to comment, saying "I have nothing to say". "The person who gave you that information must respond to your questions," he said.